The beautiful blaze of the Northern Lights, or Aurora Borealis, is caused when material thrown off the surface of the sun collides with the atmosphere of the Earth. Thus, by following events on the sun and the velocities of the gaseous matter being thrown off its surface, we can predict the appearance of the Northern Lights with a fair degree of accuracy – certainly enough to meet the needs of the average observer of the night sky. These predictions and observations are collectively referred to in the style of weather forecasting as ‘space weather’. The aurorae appear over the Earth’s polar regions in what are known as the auroral ovals; in the northern hemisphere the auroral oval bulges that much further to the south, the stronger the solar wind is at any given moment. The oval normally extends over northern Finland and Scandinavia, the whole of Canada and the northern USA, Alaska and Siberia. In the event of a solar storm, it may reach as far south as the skies over central Europe. Because the oval does not extend symmetrically around the Earth’s rotational axis, each degree of the Earth’s longitude rotates deeper into the oval once every 24 hours; in the case of Finland this rotation means the best time for viewing the Northern Lights is around 10.30 in the evening (Standard Time). On the other hand, it is always worth bearing in mind that a solar storm can appear at any time of the day or night, and hunters of spectacular shows would therefore be well advised to concentrate on following the various types of forecasts and predictions which are published on the Internet. The Northern Lights are constantly in motion because of the changing interaction between the solar wind and the earth’s magnetic field. 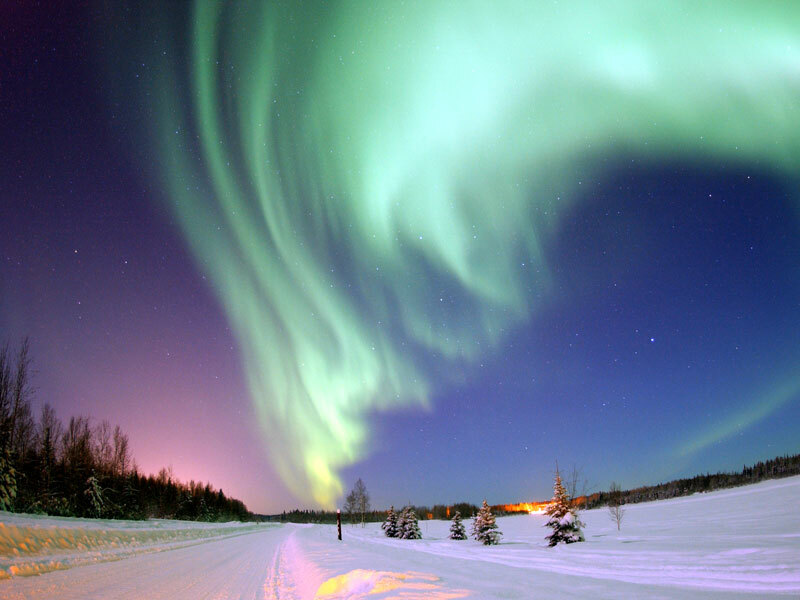 The solar wind commonly generates up to 1000,000 megawatts of electricity in an auroral display and this can cause interference with power lines, radio and television broadcasts and satellite communications. 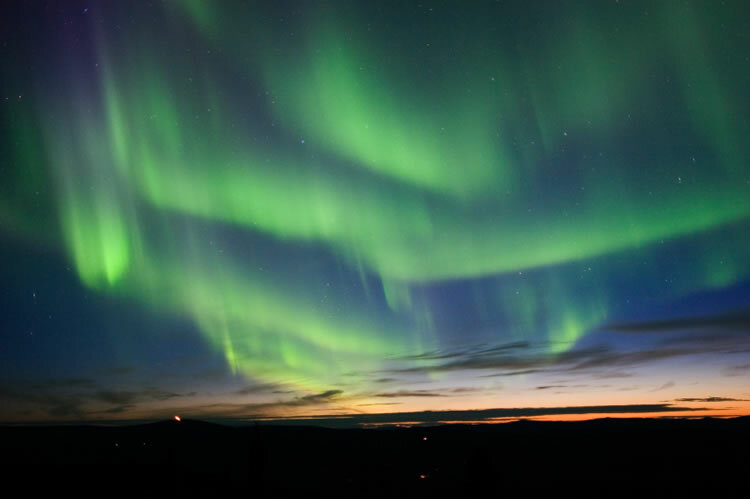 By studying the auroras, scientists can learn more about the solar wind, how it affects the earth’s atmosphere and how the energy of the auroras might be exploited for useful purposes.